Heatworks Tankless Smart Water Heater Model 1 The world's first digital water heater! 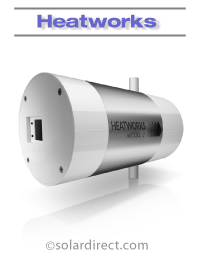 The Heatworks MODEL 1 is the only water heating solution to provide endless hot water without relying on conventional heating elements, opening a new realm of possibilities for water heating systems. Save time, money and energy while enjoying stable hot water temperatures. Tank and tankless water heaters rely on convection heating to heat water. The same heating technology used in a toaster has been used in water heaters since the 1800's. Innovative digital architecture makes the MODEL 1 the first water heater in the world to use a current of electricity to heat water. Using an array of graphite electrodes and electronic controls, the MODEL 1 can heat water on demand, more efficiently than any other water heating system in the world. 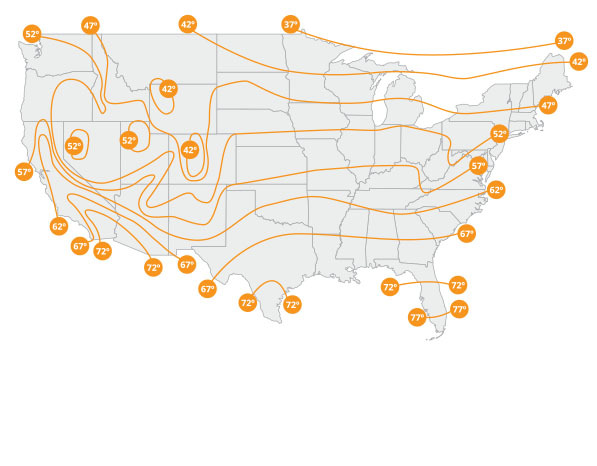 Transitioning from convection heating to direct resistance heating is disruptive technology that will change the way the world heats and uses water. One or more MODEL 1s can be easily installed to replace your current water heater. Replace your existing water heater and regain valuable square footage. This application utilizes your existing plumbing while eliminating "stand-by" heat losses. For maximum energy and water savings, create a "distributed" water heating system by installing at each point of use. Enjoy extended hot water usage and stable hot water temperatures. Install a MODEL 1 on the outlet side of your existing water heating system, and it will keep the temperature consistent as the temperature of the water in the tank decreases. Save energy and water that would have otherwise gone down the drain while waiting for heated water to arrive. Place MODEL 1s at or close to a point of use in line with your existing plumbing and eliminate the wait time for hot water. When heated water from your existing (gas, electric, tank or tankless) system arrives, the MODEL 1 shuts off. Make the most of your existing hot water heater and plumbing system. Reduce the temperature of your existing water heater system and the MODEL 1 will raise water temperature on demand as you need it. The Turbocharger configuration reduces wasted energy while storing unneeded hot water in your tank-type water heating system. Stable solar hot water temperatures and extended hot water usage. Easily augment your current solar hot water system while saving energy. Install a MODEL 1 to maintain consistent hot water temperatures as the temperature of the water in the system decreases.